Join us this week as Vision Mastery Strategist, Meshell Baker shares her 6 Steps to help you eliminate the perfectionism that is prohibiting you from taking action. Instead of offering you options of what to DO, Meshell presents a process of how to BE. When you choose first who you are BEING, then line up your behaviors, your DOINGS will become effortless and efficient! Becoming the BEST uniquely you possible…is contagious and profitable. Meshell Baker, is a captivating and highly engaging International Speaker and VISION Mastery Strategist. 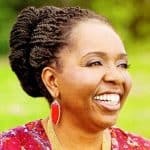 She is living her purpose and fulfilling her mission to empower as many as possible to find joy and enthusiasm for their lives through her uniquely crafted VISION Mastery Process. In May 2017, Baker launched the DreamBigBus. Baker is traveling from city to city in a 22-foot Class B recreational vehicle, decorated with one burning question: What would you do if you knew you would not fail? She encourages, enlightens and empowers her audiences and clients to experience a vision focused perspective. Her unique VISION Mastery Process guides individuals, teams and organizations to define purposeful goals, create powerful visions and craft compelling mission statements. They sustain success by becoming individuals of value while achieving their biggest dreams and greatest desires. Meshell is inspiring others to step into their brave, bold and brash by modeling her lifestyle of embracing uncertainty and the uncomfortable.